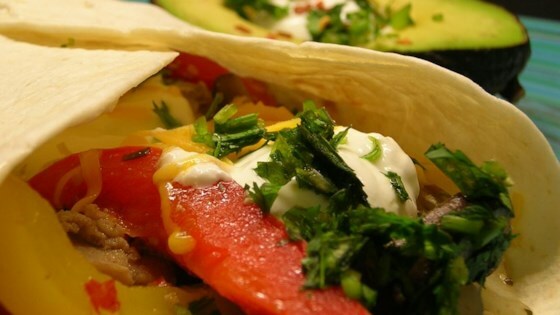 "My kids hate onions and peppers, but they LOVE these fajitas. Pita breads, where available, can be substituted for tortillas." I added some salsa to taste in the skillet when the chickenwas just done being cooked and just used half the amount of Italian seasoning that was suggested. It was delicious! These fajitas live by their names, they're truly fabulous! It's hard to believe something so easy to fix is so good!